Cabling and connectors can be overmoulded and sealed in a thermoset material, making them highly resistant to fluids – ideal for outdoor use. The overmould makes products more robust to withstand shock, vibration, and continual flexing without damage to the termination point. 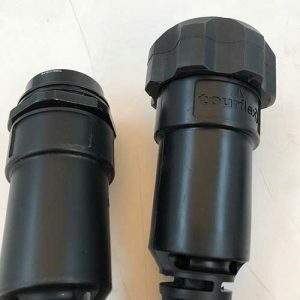 Customers can also opt to have their company logos moulded onto their connector to clearly identify it as their property.